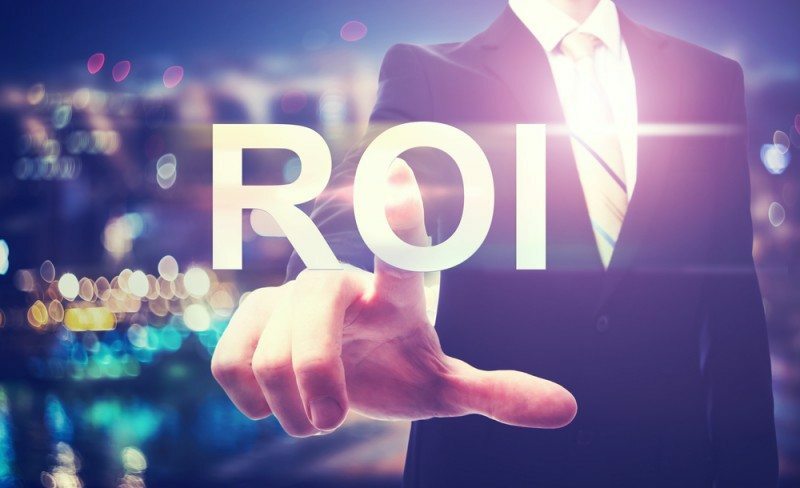 Any company who invests in marketing, whether you outsource it to a marketing agency or run campaigns in-house, needs to know whether it’s delivering ROI. The metrics you use to measure this success will depend on what your objectives are. Here at Stop and Stare I find that sometime clients are a little unclear exactly what their marketing objectives realistically should be, and how this relates to their overall business objectives. Marketing cannot increase sales in isolation, nor can it be the only strategy you employ to grow a business. However with clear goals and an effective reporting system, marketing is a key component of many businesses’ success. Although your business objectives may be to grow your organisation by increasing sales; marketing is a step towards this – not the entire strategy. For example, if you run a marketing campaign to drive more customers through your door, you’ll need to be measuring two metrics; footfall and sales. Your campaign might have successfully increased footfall, but if you don’t see an increase in sales you’ll know that there’s still a problem. This could be in your customer service or the appearance of your shop, or conversely it could be because your marketing activities didn’t target the right prospects and drove the wrong people through your door. This is why it’s so important to understand who your customers are so you can target them specifically. Metrics help you identify what works and what doesn’t. It means that you can react quickly to unsuccessful marketing tactics and divert resources to those that do work. With good reporting you can also see where the problems lie and address these for the future. Footfall: If your marketing objectives are to get more people into your shop, restaurant or venue you’ll need to be counting them as they come in. To really understand whether your advert, flyer or sponsorship deal is working, you should ask them where they heard about you too. Website traffic: This is the same as footfall but online. Once again you’ll want to know where they’re coming from – was it a link on social media, PPC, organic search engine results or a backlink from another site? Impressions: If you are running online ads, or simply posting on social media, you’ll need to know how many people have seen your ad. This is the equivalent of knowing how many people pass a billboard on the way to the station in the morning, or read a newspaper where your ad is featured. Click through rates: Out of those impressions, who clicked on your ad or social media update? This information will help you determine whether your content is attracting prospects and providing material they want to engage with. Conversions: Conversions will be closely aligned with your marketing objectives. In the case of a blog post a conversion may be a click through to another area of your site, or a prospect downloading a resource and providing their email address. On an eCommerce website it might be clicking ‘add to basket’ or ‘checkout’. Or it could be a click through to your contact page resulting in an email or phone call. Bounce rates and ‘about turns’: As well as the positives, you should also be measuring the problems. How long do visitors stay on your website? What about those people who come through your door and then quickly do an about turn. All this information will help you work out whether you’re targeting the right people, and if what they see when they get to your website or premises is aligned with the promise in your marketing material. Cost per lead: It’s all very well driving people through your door, but if the effort and cost of getting them there is more than the cost of a sale is it worth it? What your budget is will depend on the value of those customers to your business. For some businesses spending £100s on a lead is a great investment if that customer is worth £1000s over their lifetime, whereas for others, leads need to be cheap but plentiful to drive sales for low price products. Social sharing: Although social sharing, sharing a social media update, doesn’t mean that the ‘sharer’ has used your services or bought your product, it is a way of raising brand awareness through word of mouth. That sharer validates your business to some extent by sharing your content and allowing themselves to be associated with you. Tracking the amount of engagement you get on your social media channels is another metric to specifically measure how successful your social media marketing is. Recommendations and referrals: One of the strongest assets a business has are the recommendations they receive. Customer testimonials, referral programmes and case studies can all form part of your marketing strategies and be measured accordingly. You may decide that there is more value in nurturing your existing customers, encouraging their loyalty and ability to promote your business to their associates, than going after new customers. Sales and profits: The bottom-line will always be the impact on profitability. Does your marketing spend align with your sales figures? If not, then at least you have the metrics to analyses what’s working and where things are going wrong. With this you can adjust your marketing tactics accordingly and potentially find solutions in other areas of the business too. Recommended reading: Have you got time to market your business? In this post Jamie looks at what marketing jobs are more cost effective to outsource, and what you could be doing in-house. What metrics are you using to measure your marketing activities? Have we missed something that you rely on in your business? Please feel free to share your thoughts on this subject below, we would love the opportunity to engage!